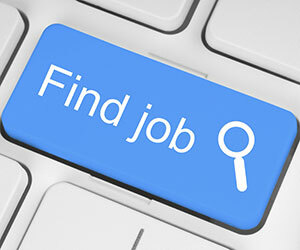 The job market today is flooded with anonymous job postings from mysterious companies (also known as blind job ads), making it difficult for you to use your network to aid you in your job search. How do you get behind the curtain and find the name of that employer and the name of the hiring manager? Here’s a tip from Liz Ryan, LinkedIn Influencer, CEO and Founder of the Human Workplace, that will work about 75% of the time. The following is excerpted from Liz Ryan's Five Secret Weapons For Your Online Job Search. Look at a blind job ad and search for any phrase that isn't pure boilerplate language like "We seek a hands-on Marketing Manager.” Look for any phrase that has the slightest hint of distinctiveness in it. These are likely to be phrases lifted from the employer's standard branding materials or its website. Take that ever-so-slightly distinctive phrase, put quotation marks around it and pop it into a Google search box. Maybe the phrase you found in the job ad describes the organization. "Family-owned distributor of leisure publications." Bada bing, bada boom, thanks to the quotation marks that keep the distinctive phrase intact in the search, Google finds the identical verbiage on the About Us page of the website for Celestial Books. Once you've ID'd the employer, you can find your hiring manager's name on LinkedIn. Click here to read the rest of Liz Ryan's job search tips.